Use this website to quickly find the most important information about the Shenzhen Bao’an International Airport: Flights, Departures, Arrivals, Parking, Car Rentals, Hotels near the airport and other information about Shenzhen Airport. 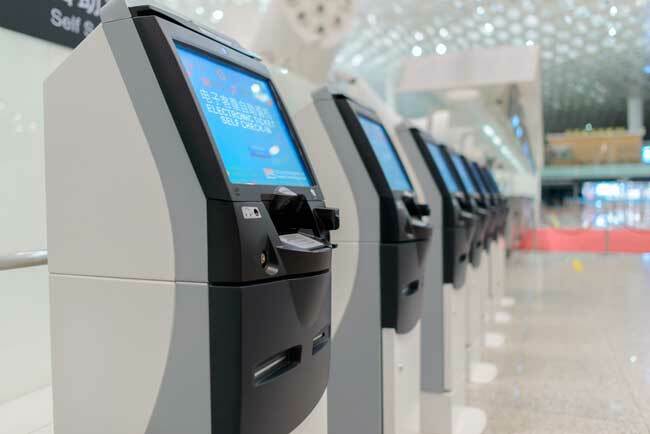 Plan your travel to SZX Airport with the information provided in this site. Shenzhen has 11 million inhabitants and borders the territories of Hong Kong special administrative region and is the major city in the Southern Chinese province of Guangdong. 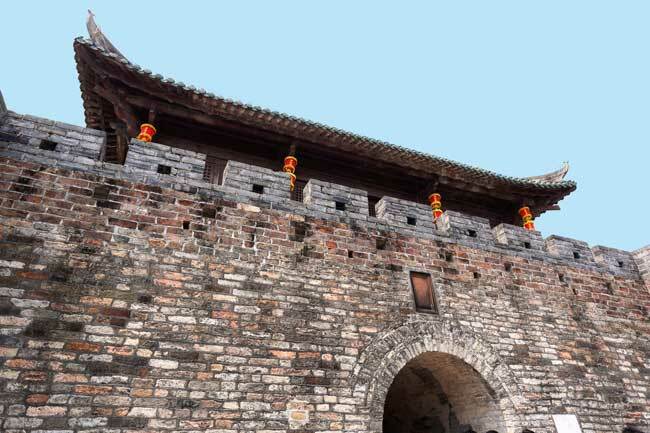 Dapeng Fortress is one of the main attractions of Shenzhen city. 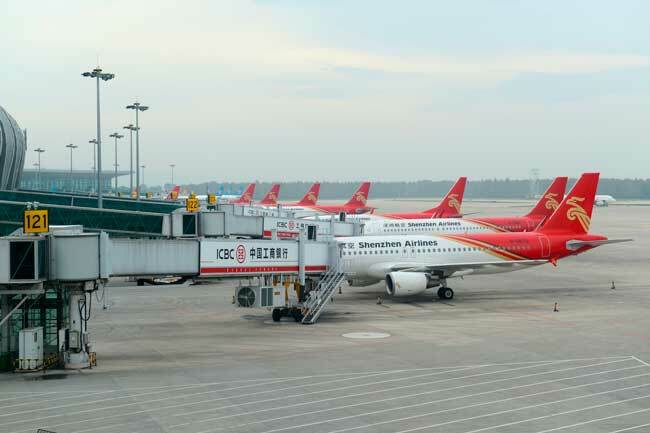 Shenzhen Airport, also known as Shenzhen Bao’an International Airport(IATA: SZX, ICAO: ZGSZ), is located at 32 km northwest of Shenzhen city centre, nearby Huangtian and Fuyong villages, in Bao’an district. Shenzhen Bao’an International Airport is the fifth busiest airport in China. Top 10 busiest international routes from Shenzhen International Airport are Macau, Taipei, Singapore, Kuala Lumpur, Bangkok, Ho Chi Minh, Seoul, Osaka and Tokyo. Shenzhen Bao’an International Airport registered a passenger flow of 41,971,000 passengers on 2016. 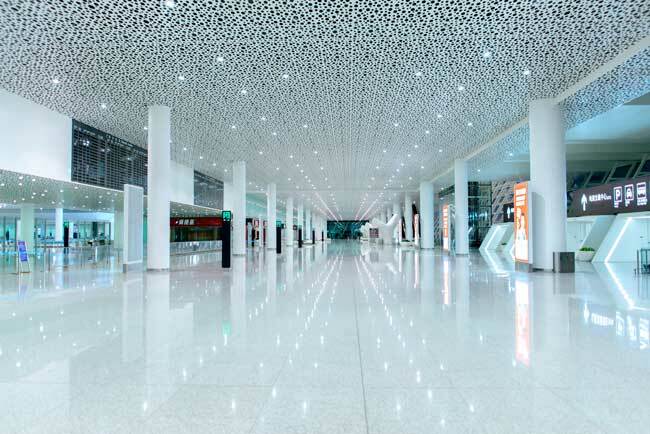 Shenzhen Bao’an International Airport has just a single Terminal to host either international and domestic flights. Train: Direct connection with railway network is not available from Shenzhen Airport. See more. - Airport Express bus: 10 bus lines from Shenzhen Airport to the city. - Airport Shuttle bus to the city centre (330 lines): 3 routes to get to Shenzhen city. - Public transport: Take any of the 4 available lines to the city. Taxi: Get to Shenzhen city centre within 30 minutes. See more. Car rental: Hire a car through our search engine or in the Arrivals Hall at Shenzhen airport. See more. The City of Shenzhen has 11 million inhabitants and borders the territories of Hong Kong special administrative region. It is the major city in the Southern Chinese province of Guangdong. The city highlights for being the major financial centre of China, Shenzhen Stock Exchange has its headquarters, as well as the most successful Chinese high-tech companies such as Huawei, ZTE, Hasee, G’Five, Dingo, among others. Shenzhen has a monsoon-influenced and humid subtropical climate, which turns to be Autumn the best season to visit it. The main attractions of the city are: The Window of the World, Kingkey 100, Happy Valley, Crane Lake Fortified Hakka Village, Hongfa Temple, Fairy Lake Botanical Gardens, Wutong Mountain and Dapeng Fortress.